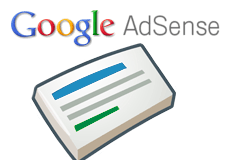 Home > Google News > Google AdSense > Google AdSense Testing No Arrows Now? Google AdSense Testing No Arrows Now? A month or so ago, Google officially brought arrows to all AdSense ads after doing so on mobile ads. Since then, Google has tested and tried the arrows in blue, white and gray colors, from what I've seen. Now, there are reports that the arrows are not displaying at all on some Google AdSense text ad units. A WebmasterWorld thread has a couple AdSense publishers saying they sporadically do not see the arrows anymore. The only time I am able to replicate the ads without arrows is when an image or multimedia ad is displayed. I think for the most part, publishers like the CTR impact of having arrows on the ads. So I am not sure why Google is testing them without. I guess changing it up often helps with the overall CTR on AdSense ads.